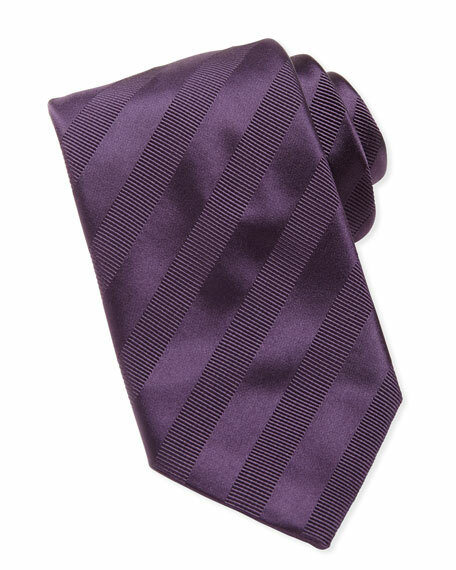 Woven tie with textured stripes. Brioni logo on inner tie. For in-store inquiries, use sku #275366.